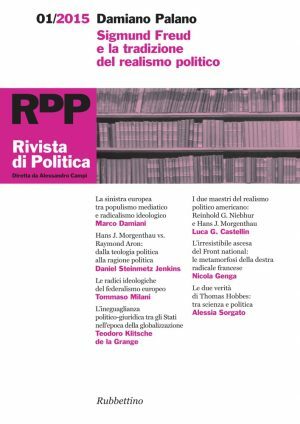 Corrado Stefanachi, Space, power and ideocultural factors in the political realism of Nicholas J. Spykman. Spykman is mainly if not exclusively mentioned in the International Relations textbooks for his geopolitical theory. Though geopolitics has been doubtless an important field of investigation for him, there is much more to Spykman’s approach to the study of international politics than merely geopolitics. This article focuses on Spykman’s political realism as it is outlined especially in America’s Strategy in World Politics and argues that its emphasis on the importance of the ideocultural factors in the international politics and its attention to the mutual relations between domestic and foreign policy still makes it one of the most insightful and original (however neglected) contribution to the realist theory in the american Internationl Relations. 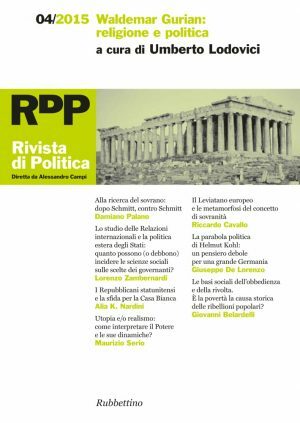 Corrado Stefanachi, Nicholas J. Spykman and the foreign and security policy of the United States from the Second World War to the «unipolar moment». America’s Strategy in World Politics and The Geography of the Peace make up the most comprehensive and systematic assessment published during the Second World War of the threats to the United States security posed by the expansionism of the Axis powers in Eurasia and, more in general, by the demise of the balance of power in what Spykman labaled the «rimland» of Eurasia. This article expounds briefly Spykman’s case for a strategy of forward defense of the United States (as opposed to a strategy of hemispheric defense) and his call for a policy, after the war, of protracted political and strategic involvement of the United States in Europe and Asia. 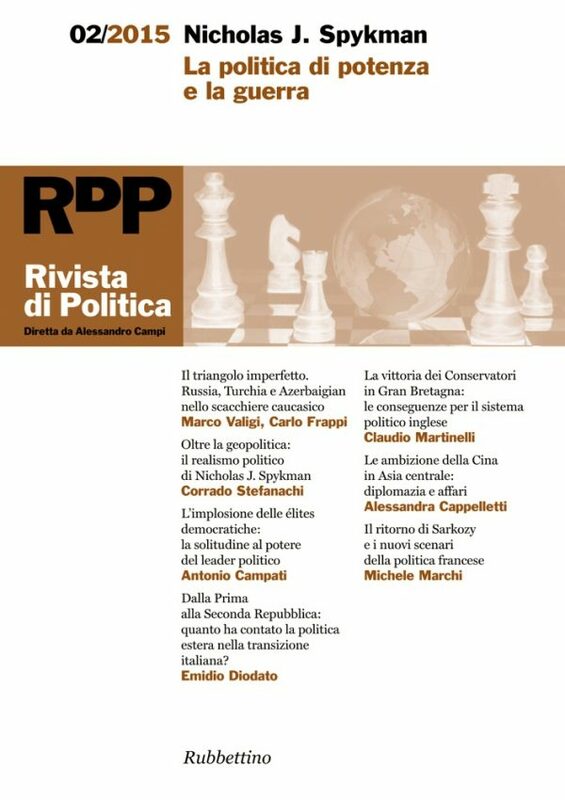 The article tries also to evaluate the influence of Spykman’s geopolitical ideas on the american foreign policy during the Cold War and the «unipolar moment». The article aims at stating out the original aspect of Spykman’s work and his innovation in the field of IR during the Second World War. 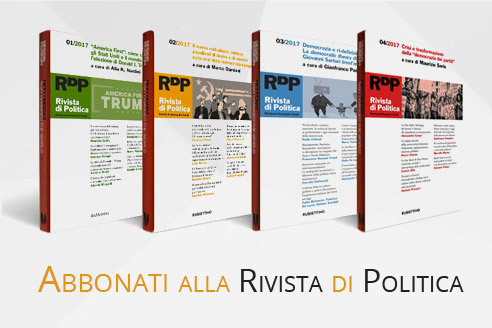 The author reconstructs the context and the debate that developed in USA and Europe before and during the Second World War about the power relation between States and highlights the methodolological and political contribution of Spykman’s theory for the development of a realistic approach to the IR. In particular the article shows the relevance of geopolitical tools and devices in Spykman’s vision and the difference between his ideas and the interpretations developed by the famous scholars Mackinder and Bowman. The Caucasus, located on the border between Europe and Asia, Christianity and Islam, on the point of contact of three great empires, Russian, Persian and Ottoman, has always been a crucial region for the great international politics. For decades the pax sovietica had passed the region overshadowed by the crucial dossiers of world politics, but after 1991 this complex and rich territory has returned strongly on the scene, especially as a ground of confrontation between Russia, looking for a new role after the collapse of the USSR, the West, interested in penetrating the area both economically and strategically, and Turkey, a new actor very active in all the former Soviet republics of pan-Turkish culture. This article analyses, in particular, the position of Russia, drawing a profile of its relations with Armenia, Azerbaijan and Georgia and setting them in the general strategy of the Kremlin towards the post-Soviet space. Michela Ceccorulli, South Caucasus. A Regional Security Space? More than a decade ago, Barry Buzan and Ole Wæver contributed to the academic literature on regional security coining the concept of ‘regional security complex’. Adding to other studies on regional security dynamics their work was mainly focused at analyzing geographically determined spaces were security was perceived to be largely dependent on close states’ perceptions and actions. Deriving from this analysis the paper proposed here considers the Southern Caucasus as a regional space and investigates the degree of institutionalization in the security domain by looking at the institutions and organizations playing a role in the area. The mapping exercise is expected to return a picture characterized by a net of diversified institutional arrangements at variable geometry. Ultimately, their investigation results as ever more relevant in a geographical context were both traditional and ‘new’ security challenge loom large and where broader geopolitical adaptations are in place. Geographical position and the abundance of strategic resources such as oil and gas made South Caucasus and the Caspian extremely relevant in International politics as well as in the competition among major and regional powers. In this scenario, the triangular relation among Russia, Turkey and Azerbaijan (i.e. a great, a medium and a local power) is a significant case in which interactions are entangled by mutual cooperation and competition. Assuming that States are power-seeking, this article will examine the relations among Russia, Turkey and Azerbaijan trough the model developed by Theodore Caplow to analyze coalitions and their origins in triads. In particular, the analysis will focus on power disequilibrium and its implications on the relations among the three countries as well as on how the special relationship between Ankara and Baku seems on the process to turn in favor of the Caspian actor. This article is an assessment of the impact of the new Euro-Asian corridors on areas with a Muslim majority in the Caspian sea area and Caucasus territories. China is emerging as a new super power in Central Asia, sometimes competing and sometimes sharing the same interests with Russia, the EU and the US. As the main promoter and financing government of the new Euro-Asian corridors (a project launched in 2013 by Xi Jinping), Beijing is presenting its long-term programme in international and national contexts following different narratives: the new Silk Roads is the main one, both internally and abroad. Investments and policies already implemented and planned by the Chinese government and other Chinese actors will be analyzed and understood through the Chinese media, studies and analysis by Chinese experts and think tank, and interviews. The focus will be on their impact on the local contexts, with a particular attention on the socio-political domain. In the early 1990s, a widespread restructuring of the political system took place in Italy. Public dissatisfaction with incumbent politicians, translated into demands for more effective decision-making and greater administrative efficiency, pushed the country towards a phase of reforms. Without generating a new majoritarian democracy, this process has nonetheless challenged the consensus model of the previous Republican period. 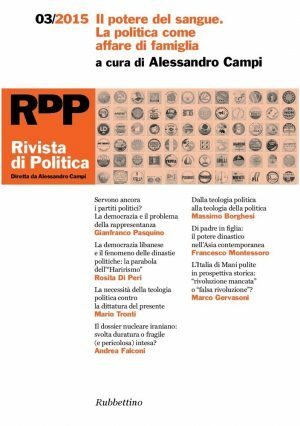 Influential historical studies concur in saying that the advent of the so-called second republic represents one of the major crisis of the Italian political system in the last century. But the meaning of this transition from democracy to democracy is far from becoming clear. In order to understand and explain this difficult transition, the essay gives relevance to the international dimension of the process, highlighting the importance of the Maastricht Treaty and its consequences on domestic and foreign policy.